Location. 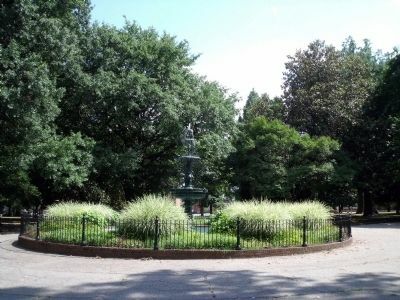 37° 32.829′ N, 77° 27.081′ W. Marker is in Richmond, Virginia. Marker is at the intersection of North Laurel Street and South Cathedral Place, on the right when traveling north on North Laurel Street. Touch for map. Marker is in this post office area: Richmond VA 23220, United States of America. Touch for directions. markers are within walking distance of this marker. Founders Hall (about 700 feet away, measured in a direct line); Richmond Professional Institute (about 700 feet away); Jacob House (approx. 0.2 miles away); The Equal Suffrage League of Virginia (approx. ¼ mile away); Richmond Howitzers Monument (approx. 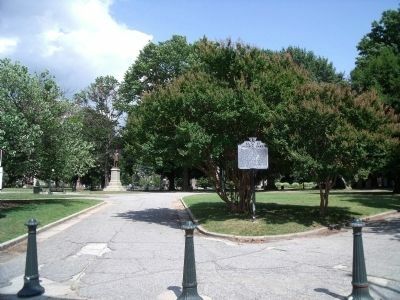 ¼ mile away); Site of J. E. B. Stuart's Death (approx. 0.4 miles away); “I must save the women of Richmond!” (approx. 0.4 miles away); Grace Evelyn Arents (approx. 0.4 miles away). Touch for a list and map of all markers in Richmond. 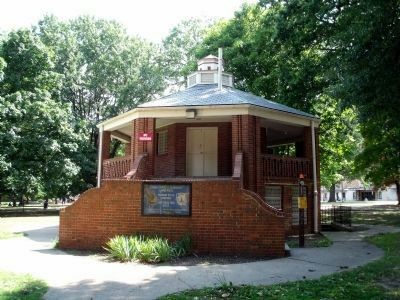 Regarding Monroe Park. 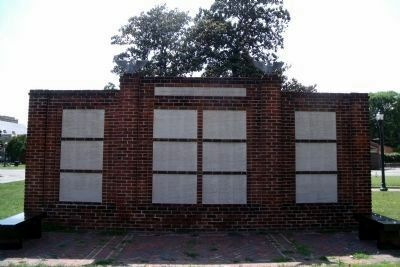 During the Civil War, VMI cadets under Stonewall Jackson drilled new recruits here. 5. 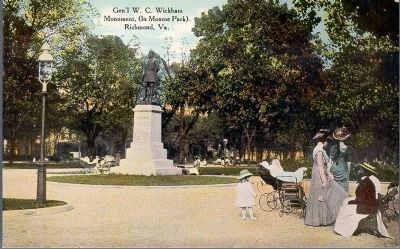 Wickham Monument , 1891. 6. 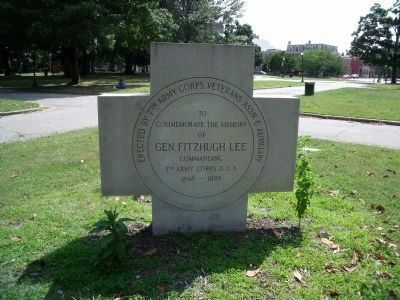 General Fitzhugh Lee Monument, 1911. 7. World War II Monument, 1951. By Southern Bargain House, Richmond, Va.
8. 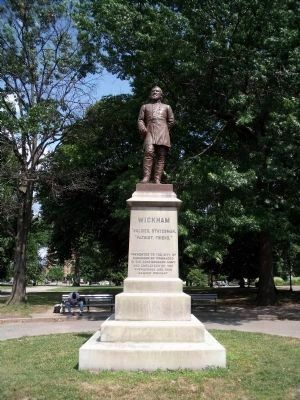 Gen'l W.C. Wickham Monument (In Monroe Park), Richmond, Va.
More. 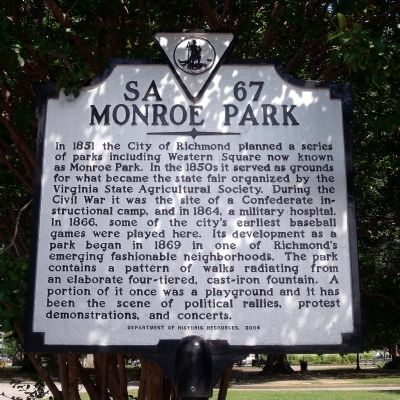 Search the internet for Monroe Park. Credits. This page was last revised on June 16, 2016. This page originally submitted on July 4, 2009, by Bernard Fisher of Mechanicsville, Virginia. This page has been viewed 972 times since then and 10 times this year. Photos: 1, 2, 3, 4, 5, 6, 7. submitted on July 4, 2009, by Bernard Fisher of Mechanicsville, Virginia. 8. submitted on May 10, 2012, by Bernard Fisher of Mechanicsville, Virginia.